CAMARILLO, Calif., April 11, 2019 – Semtech Corporation (Nasdaq: SMTC), a leading supplier of high performance analog and mixed-signal semiconductors and advanced algorithms, announced that Ineo-Sense, a developer of intelligent and autonomous sensors for Internet of Things (IoT) applications, has integrated Semtech’s LoRa® devices and wireless radio frequency technology (LoRa Technology) into its “Clover-Core” series of sensor products for smart asset tracking in manufacturing settings. Ineo-Sense has signed a major contract with Lauak Group, a leader in the manufacture of parts and sub-assemblies for the aerospace industry in France. The contract calls for 14,000 Ineo-Sense’s LoRa-enabled asset tracking sensors to one of Lauak’s assembly sites in France. The sensors will be integrated in fourteen thousand of Lauak’s manufacturing containers for accurate monitoring of the parts, which are constantly in transit throughout the large manufacturing facilities. Following this private network deployment based on the LoRaWAN™ protocol, the asset tracking solution will be expanded to Portugal, where Lauak Group has a 100,000 sq. ft. plant. As a result of the sensor network’s benefits, Lauak Group is expecting up to 20% of a reduction in its production lead time. Ineo-Sense designs, develops and markets intelligent and autonomous sensors for the industry to fully exploit the potential of the Internet of Things. 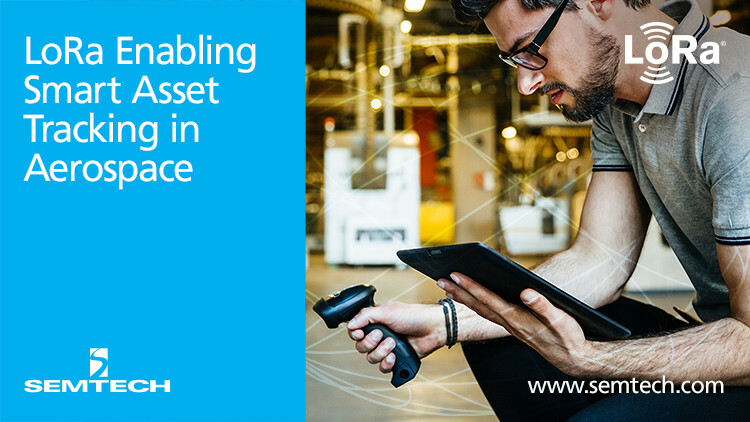 Its solutions make it possible to answer essential problems on the main industrial sectors (production, logistics…): asset tracking, security, data collection related to energy use. All of Ineo-Sense’s solutions embrace the “Clover-Core” breakthrough technology which collects relevant data in real time, making it easier for companies to make decisions and improve their production processes. A pioneer of IoT since its creation in 2010, Ineo-Sense benefits from a proven expertise with already 70,000 sensors successfully deployed in France and internationally. The solutions developed by Ineo-Sense are based on its embedded technology platform for the realization of high added-value industrial connected objects, combined with recognized expertise around LPWAN low power and long-range radio networks. For more information, visit www.ineo-sense.com. All statements contained herein that are not statements of historical fact, including statements that use the words “will,” “is expecting,” “designed to,” or other similar words or expressions, that describe Semtech Corporation’s or its management’s future plans, objectives or goals are “forward-looking statements” and are made pursuant to the Safe-Harbor provisions of the Private Securities Litigation Reform Act of 1995, as amended. Such forward-looking statements involve known and unknown risks, uncertainties and other factors that could cause the actual results of Semtech Corporation to be materially different from the historical results and/or from any future results or outcomes expressed or implied by such forward-looking statements. Such factors are further addressed in Semtech Corporation’s annual and quarterly reports, and in other documents or reports, filed with the Securities and Exchange Commission (www.sec.gov) including, without limitation, information under the captions “Management’s Discussion and Analysis of Financial Condition and Results of Operations” and “Risk Factors.” Semtech Corporation assumes no obligation to update any forward-looking statements in order to reflect events or circumstances that may arise after the date of this release, except as required by law.